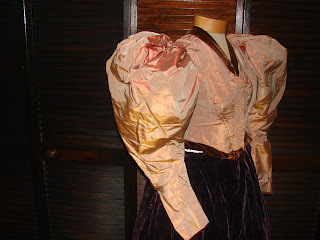 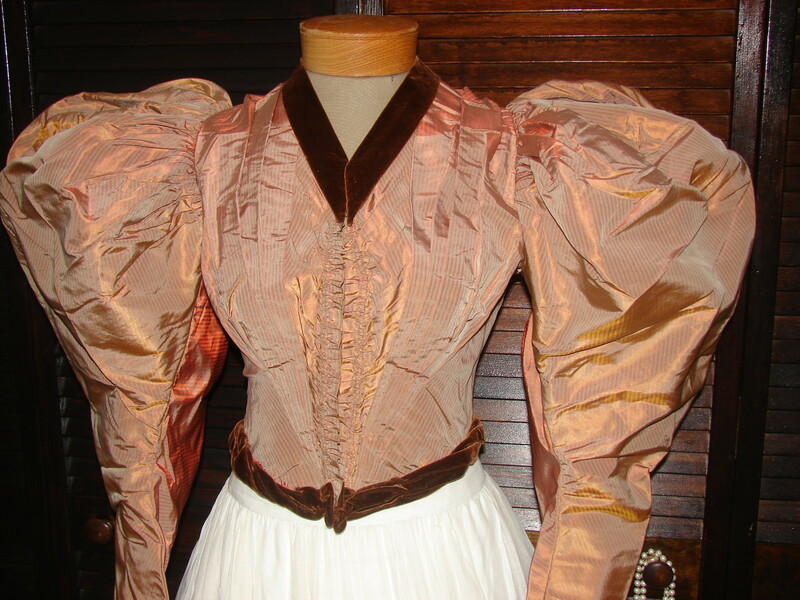 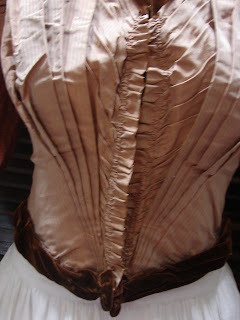 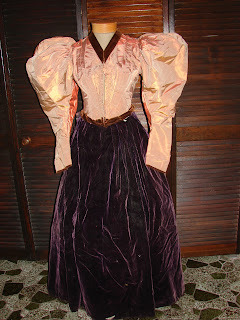 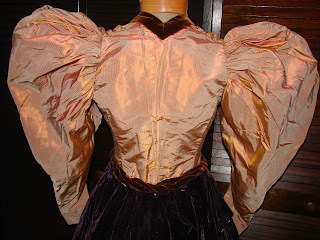 Flamboyant La Belle Epoque silk bodice with extreme leg o' mutton sleeves and pleated front and back. Made of shimmering gold/cognac silk taffeta with fine olive/beige stripes it is bordered at the neck and waist with burgundy velvet. 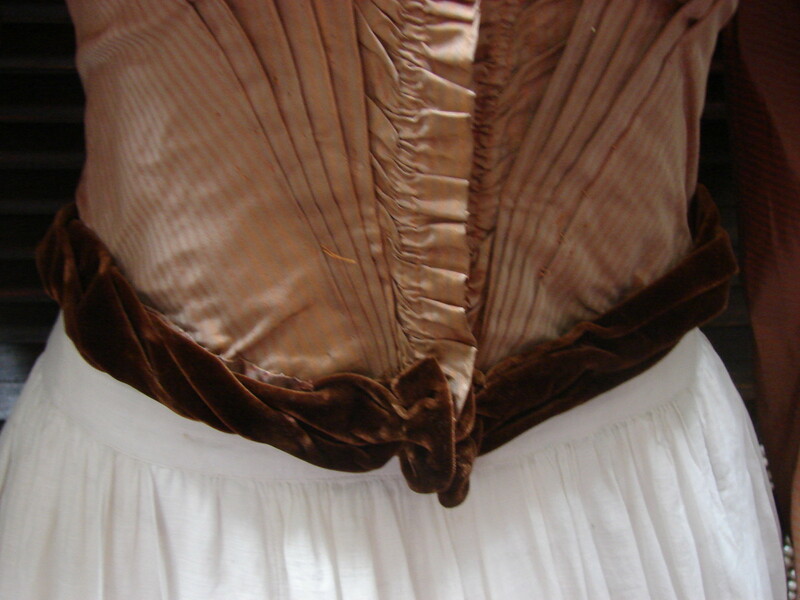 Lined in white cotton with silk trim it has 16 stays and sous-bras shields. 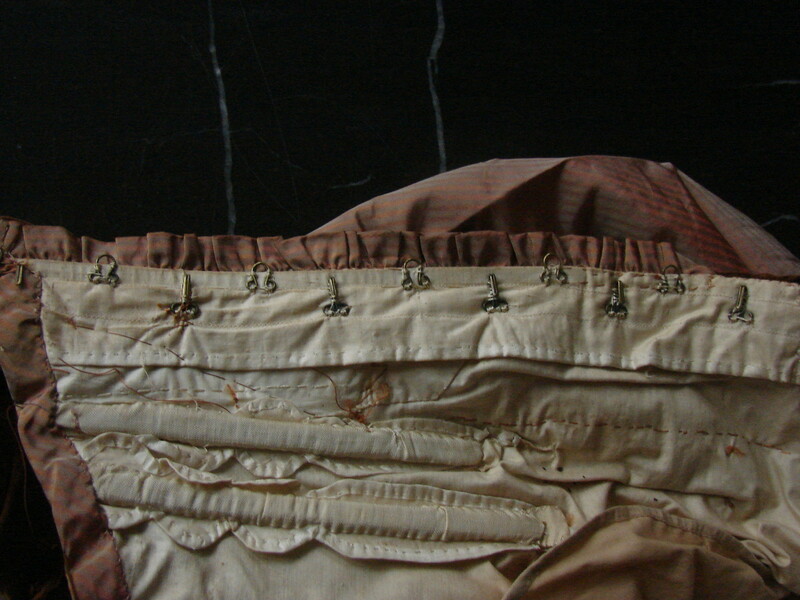 Closes in front with two rows of eye and hooks. 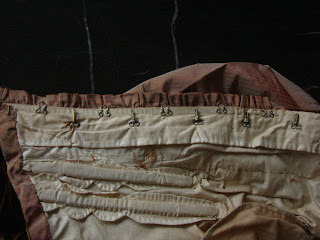 It is hand and machine sewn with fine finishing touches. 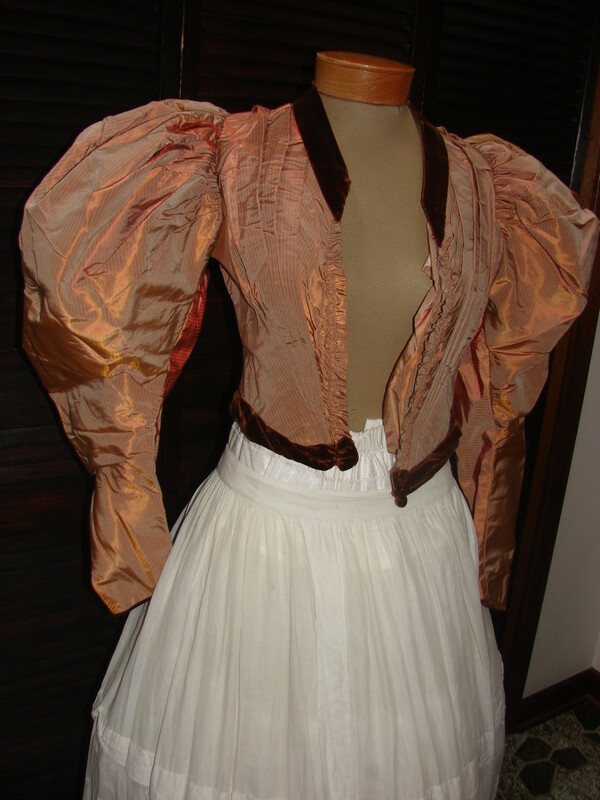 Truly an exquisite piece of high fashion in an unbelievable condition. shoulders (seam to seam) 11.5"